In tribute to November’s annual eat-fest, the Let’s Blog Off gang asks: What makes us thankful? You can read my blogging friends’ thoughts on Thanksgiving here . They will make you laugh, cry, remember, relate, and even get organized. I am thankful for people who dare to imagine and push boundaries. Maybe people like you? Gordon was a creativity guru or a midwife to ideation. He used metaphoric stories to reveal the mysteries of originality and release the visions you hold deep inside. For instance, a cow chewing its cud for hours performs the miracle of making milk. Creativity is like that. 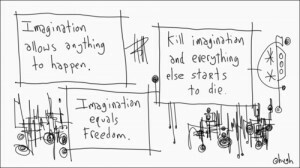 The imagination needs freedom to gestate. You can’t measure it, you can’t see it, and you sure as hell can’t sell it until the idea is ready. That peculiar work of invention frustrates bean counters no end. Yet new ideas depend on wandering, experimenting, failing, and recreating, on linking thoughts and images in strange wondrous ways and allowing explosions. I live for the moments of feeling that rush of ideas, the joy of inspiration, being in the flow. It’s an out of body time where I may not notice food or drink and surely not time passing. I’m the cow in the field imagining a world that does not yet exist. Every day someone is creating something so startling that you can hardly breathe when you see it. Your body reacts, prickles on the neck, tears of pure awe. You feel their genius. Yet few seeds of brilliance ever escape the womb of the imagination. We forget them before we can draw or write. The sketch doesn’t fulfill the vision. Others throw up roadblocks; it’s too large, too small, too bizarre, too too too many lines. Who knows, someone says it’s just too… And it will never be built. This year,ultra towers,kinetic structures,new towns,urban agriculture, andflying security robots transformed our images of 21st century cities. A few are absolute revelations. I am thankful for the spectacular ideas and courageous acts of imagination and fortitude that survived the maze of barriers and naysayers. 1. 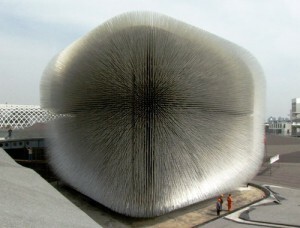 The Seed Cathedral reframes architecture as sustainable and ephemeral – a new paradigm beyond theCrystal Palace and theblur building. 60,000 shimmering filaments carry Millennium seeds that will give birth to a future bio-diverse forest. 2. In the aftermath of the catastrophic Haiti earthquake,Architecture for Humanity bypassed the usual routes of bureaucracy and organized working communities of Haitians toenvision a vibrant future, starting with new housing and schools. 3. Living City Design Competition recognizes cities that are making extraordinary efforts to envision a socially just, culturally rich and ecologically restorative civilization. Can your city meet the challenge? Submissions due in February. 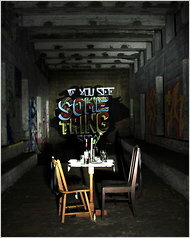 Underbelly Project flaunts the work of street artists on subterranean walls of an abandoned New York subway station. Watch an inspiring short video via the NY Times. 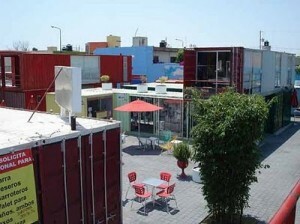 Container City adapts lowly shipping containers into a miraculous mixed use village. Imagine what we can do with junk. 6. Non-Sign II near the Canadian border conveys a simple message of… air. Do you look for people with purple hair, unexpected shoes, carrying a tube or drawing tools, or walking with a different gait? They hold some particular energy, the bodacious ideas churning in their gut, planning to capture the thing before it disappears. Perhaps that person is you. It’s a bit of madness, by some standards. We all have it. We may camouflage it, forget it, fail to cultivate it, but we surely flung it around as children. Back when we wore fuscia boots, finger painted, and skipped. Someone somewhere told us our drawing, singing, dancing were not good enough and bang! The imagination snapped inwards, afraid of further castigation. Is yours still hiding, damaged by thoughtless words, snooty looks? Gordon’s final lesson: you have a masterpiece inside you. If you go to your grave without painting it, it will not get painted. No one else can paint it. Only you. This Thanksgiving, I am grateful for the ideas that you share and the miracles you create. Think how it is to have a conversation with an embryo. You might say, “The world outside is vast and intricate. In the dark with eyes closed. I only know what I’ve experienced. Dear Architecture Grads: What Matters Most? In my blog post last week titled “Dear Architecture Graduates: Be Ready, Relentless and Lucky,” the first item is strategy. To get a job particularly during the Great Recession, you have to first think: what matters most to me? And then act accordingly, regardless of that dreaded fear of the unknown. Bold choices bring richness you never imagined. What are your priorities? What will you trade today to get something better later? In hindsight, I used six factors (money/job, architecture, intern, location, firm, role) as building blocks - see the sketch. It’s more flexible in practice than it appears. I added one more- see below. Here’s how those choices looked in real life. Right out of school, I scored my main goal - an architecture internship – by forfeiting my location. In The Kansas City Star, no architecture firms were advertising thanks to a recession. Instead, there’s an ad: “Architecture Graduate: Will work for free. Call Tom 555-5555.” Desperate times. Tom motivated me. At the same time, The Wall Street Journal posted an article that said western Montana had a construction boom and an architect shortage. So I hightailed it 1400 miles to Hamilton, Montana and the Bitterroot Valley. Job 1 – Money, Architecture, Intern. First day, I landed a job. It was far from ideal. Ok, it was actually a bit strange. Job 2 – Plus Firm, People, Role. After two months I got a job at a firm that I admired in Missoula, Montana. I got maximum responsibility working with people I admired and liked. The seventh factor: People You Like. It sits between Firm You Admire and Role You Seek. Initially I thought Firm incorporated People, but realized you can like the people and not the firm. Job 3 – Plus Location, Minus Firm. Just as I moved home to Kansas City, another recession hit. A large EA firm that was expanding their architecture arm hired me to lead an historic rehab in Brooklyn. Great role, project, and people. Job 4 – Plus Firm, Minus Role. I finally landed a job at a young hip design firm, once again trading off a choice role for another priority. Back to the drawing board, literally. I didn’t attain a great role again until I started my own firm. That is another story, brought on by, yes, a third recession. Rolling recessions shaped my life, my views – and what we built, who we are today collectively. The Great Recession is shaping yours. You make the best situation out of what you have, based on your priorities. That’s how it works, I think. Make some choices no one else would. Be daring. You are far more flexible early in your career, less tied to location, roles, even industry. Use it to your advantage. During difficult times, a more detailed breakdown of your priorities may help you see value in smaller wins. Like getting any job. Or paying the bills. Always think in terms of trades. Start today with: What matters most? A couple of months ago, I wrote a piece for my mid-career architect friends who had recently lost their jobs, titled “Dear Unemployed Architects: You’ve Been Given a Gift.” With it, I got lots of gifts back and not all of them flattering. Taught me a few lessons. Extra time is not a gift for recent grads; you achieved a milestone and then fell into the abyss of no jobs. So my article made you angry; I apologize. Since then, I have been pondering how to help newly minted graduates find jobs, knowing that the odds are stacked against you. You are in a tsunami, or actually two. There’s the recession, which is a depression for construction (25-30% unemployment) plus the industry is seeing large scale changes with permanent job shifts. It’s stunning. Knowing that context doesn’t help you get a job. Maybe it will help you get more creative, take bolder action, be quicker to adapt. You need to be more prepared than anyone else, relentlessly persistent, and lucky – at the right place at the right time with the right answers speaking to an open mind. Some people will get jobs. You want to be one of those. That’s your job right now. Position yourself to be one of the few, not one of the many. Make forward actions every day. Here’s a few ideas. They fall into job searching, surviving, and the long view. It’s a long list… by no means complete. Take what fits you. Plan your priorities. What matters to you? Location, firms, project types, your role, the people you’ll work with, multi-disciplined firm, money? What must you have to survive, and what will you forfeit for now? Investigate firms as though you were becoming a partner. Get everything you can about their work, clients, people, recognition, other offices, philosophy, history. Craft your resume and letter to fit the kind of work that they do. Make your own very simple letter head, card, and portfolio cover. Be consistent and clean. While it’s the content that counts, we are designers. Clean, simple works. Better to show three great projects than ten mediocre ones. Edit and create good stories. Select your projects and stories to fit a particular firm’s interests. For example, if they do hospitals, use hospital projects or at least institutional projects. Research their project type and talk about key issues. Treat your submission and interview like we do marketing RFQ’s. It’s your story. Tell it well, compelling, dramatic, true, highlighting your best moments. Have very short versions, and also more detailed responses. If you have a sense of project types or methods that you are intrigued by or that you think will have more work, then become an expert in trends and case studies. Write up your findings and begin blogging about it. Find firms in that area. Unlike any prior generation, you can research and establish your identity online. And form architectural networks. Use it extensively and creatively. More on this down the list. Know recent case studies in BIM, green building, Revit – the big three that will get you a job now. Be conversant. Publish ideas online, become an expert. Potential growth areas (beyond the big three – BIM, Revit, and green tech): prefab, laboratories, research facilities, shared or community facilities, security of all kinds, health, aging, renovation, historic preservation, mixed use, public spaces, various high tech materials such as nano-tech, digital integration such as signage, rfid, sensors, smart grid, ubiquitous computing. More tech sends you to certain types of AE or EA firms. In KC, engineers are the first hiring because they are involved in the stimulus package ARRA money. It may not be your first choice, but you will meet wonderful people that can influence your career and be friends for life. Work in related fields like interiors, suppliers, contractors, planning, landscape, community development, government, corporate, facilities management, and so on. Many have architecture departments. It will help you get an architecture job later or you might find your calling in these related fields, some which have stronger prospects than general architecture consulting. Make quick speeches – 45 second responses – for major questions. Your best projects, best teachers, why you chose this field, what projects or architects do you like, where you see yourself in five or ten years, what are your special talents, why do you fit this job. Essentially: What will you bring to my firm? Be active on Architizer and key groups on Linked In. Be creative with online tools, witness this google story. Build an online presence – perhaps more critical than a resume. Share ideas, develop relationships, ask questions. Update daily; it’s a commitment. Make videos and podcasts. Post links to your network. Find people that can help you; look for their online or real time activities and be there. Go where the people go with whom you want to connect. Do not sit back. If your resume isn’t working, ask what didn’t catch their eye. Ask to see a good example but be thoughtful about asking. If the moment doesn’t seem right, don’t ask. Be persistent. Keep your name in front of them. Be succinct. Don’t linger. Know what projects are being planned in various cities. Cast a wide net. Find out who is pursuing them. Send your resume etc to those firms. Move to North Dakota. Really. If you are traveling, go places that you hear have work. Always look for work. Don’t limit to just firms who are advertising. Work will pick up and you want to be the one. Try to get a sense of the firms that have new projects on the horizon. Our interviewees talked with their future co-workers, who always gave their opinions the moment the door shut. Know who they are too, as much as possible. Be nice, charming if possible, and humble. You’re new. They earned their spot. If you have friends with jobs, keep in contact, let them know how you are doing and what new stuff you have developed. And ask about jobs, projects, other firms. Do not let three days pass without posting useful information to your blog. Ask everyone what else they would do, who they would call, if they were looking. Do not sit at home. Go to the library, café, museum, park. Learn ideas, it will trigger new thoughts. Be flexible, adaptable, in every way. Keep your priorities in order. Be frugal. So much material exists on living cheaply. Draw on your friends and family and offer something in return. Do work for people, take care of things for them. Share costs. Give what you have to get something back. Many AIA chapters allow new grads to join for free for a year. Become active. Get to know people. Keep your ear to the ground and find out where you would like to work. Visit at least one architect’s office every day. For places you really want to work, keep on the regular rounds – say once every couple of weeks. Otherwise, make it a new place every day. Stop in, say hello. Ask if the person you know is available. Just checking for possible jobs. Stay under 1 minute. If you have some idea for them, even better. Drop it off, with your resume, business card, and a note attached. Blend face-time with online time. Learn to communicate in words, written and verbal. Join a toastmasters group or equivilent. Be more places, try more things, with clearer answers than the next ten people. Or next 100. It’s the Olympics of job searches; leave no rocks unturned. Be able to say state your strengths in under a minute and be compelling. Tape it and listen back or try it on someone. It’s no fun but you’ll improve through practice. Be flexible with your approach but not in your priorities. Get the best deal that you can given the landscape. And then make it into a gold mine or move on when you can. Blog about local projects and events. Take pictures, show progress, make comments. Document changes in the city, photographs, stories. Blog about happenings in the architecture and design communities. Same deal – take pictures, make comments. Encourage people to use you as a broadcaster. Write book reviews; post on Goodreads, your blog, twitter, linked in, and facebook. Volunteer at community events. Be seen. Get to know people. Mentor others. You have more benefits than you might realize. Highly educated, with drawing, design, and construction skills, plus recent college experience. Share it with people younger than you. Or older. Look for mentors. They may be on twitter or be your neighbor. Take their advice seriously, think about it, and ask for more. They will like you for it. We all know it’s tough. Ask your AIA to assign a mentor or grow one from the people you meet. Make arrangements for regular conversations, on the phone or FTF. Be observant. Always think: what does that mean for new buildings, my career? Find out where there are jobs and in what industries. Think if there is an architectural component. Will they be building, remodeling? Bird dog it. Keep in touch with your university weekly. Draw. Paint. Make music. And yes… blog it. or sell it if possible. You are building reputation, improving your skills, and staying motivated. Imagine your whole life. Here’s a futures method for seeing further down the road from a wonderful futurist, Verne Wheelwright. Help your neighbors. And as one commenter said, do not be afraid to make money. Just make sure it’s clear when you are offering a favor and when you are looking for paid work. Become a commenter on urban or community activities. It’s not hard to be outspoken, but it is hard to be effective. Comments online are frequently worthless. Not on the NY Times. Some brilliant commenters – learn from them. They rank the comments. Become a highly ranked commenter. Walk the streets, document, create commentaries, a typology or ranking. Remake your space. Then do it again. Become versed in distances between chairs, required space for various tables and chairs, the shapes for walking, sitting, etc. Go to public spaces and see if theirs are effective. Then… yes, draw it and blog it. Plant, grow stuff. Help in a community garden. Fresh food and getting dirty uplift the spirit. Link music to architecture. Art to architecture. Arch and interiors, signs, colors, streets. Study it. Write your thoughts and theories about it. Create a group of like-minded friends or unemployed neighbors. Chat regularly. Stay in touch with your family and friends – they are no doubt concerned about you. And they may have ideas, they may be a good shoulder or sounding board. Add education if you can afford it and have an urgency. Study something that you care about and makes you unique. For me, that’s strategic planning and communications. It took me 25 years to be ready for that. What is your special interest? So many areas outside the construction world go hand in hand with architecture. Economics for example. Business of course. Animation, environmental studies, public admin, education, journalism, art, law. Copy George Plimpton. He famously experienced high profile jobs, then wrote bestsellers about them. He boxed, played pro football, did stand-up, performed a high-wire act. Get a temporary job in one of the places you might later want to design. A sports venue, a library, a school, a shopping center, a hospital, public housing, and so on. You will forever own hands-on expertise. Or frequent these places and get to know patterns. You may never have the time to really do this again. Document it, and yes… make white papers, post them on your blog. 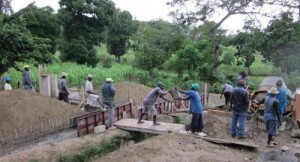 Go work in Haiti with Cameron Sinclair’s Architecture for Humanity – if you can afford it. Go to New Orleans - last I heard they don’t have enough architects or builders. Find out who got federal money, what firms are working on it. Apply there. Journal. Keep some of it just for yourself. It’s one of the best lifelong habits and proven to make your career more focused and life more inspired. Exercise. If you’re not in shape, get there. If you are in shape, keep doing it every day. It boosts your energy, attitude and mental abilities. Stay positive. Be in touch with your spirituality. Develop your beliefs. Meditation in any form keeps us steady and happy. Plus good ideas come when your mind is alert. If you are getting interest, but no jobs, then ask why – very politely. Ask who might need your skills. And shine up your work next time, even if you just rearrange the order. Never take the same material to two job interviews. They will know it. You and your work will look tired. You need to be fresh, ready to work tomorrow. Even if you just change the order of projects, wear a different shirt, renew your ideas every day. If you are stuck, if days and weeks are going by with no bites, then change what you are doing wholesale. Change your approach. Rewrite your story. Practice out loud. Find a ready audience to play act. Record yourself. Improve your story. Try to find out who got jobs and why. See what you can learn. If you can talk to these recent hires, see if they have any other leads that might make soon. Be nice to whoever you talk to in the firm, including the front desk person. They give more information after you leave, count on it. Even if it’s just a smile or a look, people tune into these small gestures. It all matters. Don’t wait; keep moving, because it’s your life and you want to spend it well. I believe that jobs where you serve people – like retail, libraries, hospitals, and restaurants – aid architects in learning how to read people. Very useful skill. Do that while you’re looking for a job in the industry. Don’t give up. There may be no better advice. Continually re-assess. Be sure that this is what you want to do. Don’t be afraid to try something else. Don’t get stuck on the word architect or designer. Deconstruct your skills – CAD, codes, rendering, model-building, construction, observation, documentation, analysis, history, building technologies, presentations, team building, community development, foreign languages. What are your skills? Teach English in China or some other country. Teach English as a second language in US; learn some other language. I guarantee long term value. Read my other list - there’s ideas for inspiration and rethinking your life. Read the comments – the first few hated it and you might relate. Read the later comments – they gave tips, links, and stories about their positive experiences. Keep your finances orderly. Get a delay on loans if possible. Take daily walks. There’s a lot of research about why walking is healthy. For architects and designers, there is the added value of being part of the environment, the streetlife. Make notes, sketches, photos. Create an album of your observations. Go to planning commission, municipal art commission, economic development, and school board meetings, even public auctions of real estate. Those developers may need some help. More than that, you will learn the process of building and running cities. And yes, please, blog it. It’s your opportunity. Don’t complain. And if you must, do it privately in your journal or while taking a walk – by yourself. From an unemployed friend: you might feel the five stages of grief: denial, anger, bargaining, depression, and acceptance. Be aware of these stages and take care of yourself. Get help before you need it desperately, whether emotionally or financially. Draw or paint every day. Steven Holl does. Listen to music every day. Daniel Libeskind does. Dance. With or without someone else. Hang out with positive people. That might be your regular friends, your 90 year old neighbor, or your kid sister. Or your priest. Moods are contagious. Avoid negative people. Cynicism is also contagious. Breed positive ideas. Use humor. It recharges a beaten spirit. Along with running, meditating, yoga, sleep (but not more than 7-8 hrs) and helping someone else. All work like a charm. Start a business. Every business started somewhere. You can build things with just a business license. Think about it. Do odd jobs. Team with your friends or unemployed colleagues (who might become friends) to do larger projects. I sewed tablecloths and napkins for a new restaurant. Ask around. Stay focused on why you are here and what really matters. Write me if you need encouragement or ideas. Twitter works @urbanverse. If your first option doesn’t work out, have a second option before you let go. It’s called wing walking. When traversing two wings, hang on to the first one until you’re clearly secure on the second. Check out Bob Borson‘s Ten Reasons to be an Architect and Ten Reasons to Not be an Architect. Do you relate to these lists? Look at my delicious links on jobs (56) and on architects (126). Eight crossovers. Try searching the whole list for unemployment too. and inspiration. Try to keep perspective – see yourself in the future. This time in your life will be very important. It’s a watershed era. You will think about it when you’re 80. When you get a job, help others. Return to your college, tell your story. And yes… blog about it. No matter if it’s what you wanted or not, it’s an unfolding. Make your story. Overcoming huge difficulties makes life more poignant. Friendships from this time period will always seem more vital and deeply connected. You will be co-survivors. There is nothing small about this recession for architects and especially for recent graduates. You may send 100 resumes without a response. Don’t despair; just find a better way, change the formula to favor you. Get used to a career in a field experiencing sweeping change. We are retooling the industry. It’s a double tsunami – the recession and massive changes. You need to retool and keep retooling. It’s going to take your full attention, agility, and some luck. Luck in terms of being at the right place, talking to the right people who are paying attention. Best way to increase your odds – sling more mud and be more strategic. Yet you have some advantages. You are a digital native. Working in CAD and online is second nature to you. Your elder colleagues will depend on you for that. We have always talked with new graduates about design and theory because we know that colleges focus on those aspects. Now we also will rely on you for technological skills. And a sense of the new social world. Show people how it’s done. Failure is allowed early in your career with minimal penalties. Play this card strategically. You will be able to chalk it up as experience. Celebrate any and every small success, accomplishment, and lesson. Don’t fear failure; learn from it. Mastering the architecture profession is a 10-20 year process. Five years out, you will know all the parts except the business and management, but you need many more trials of design, construction and working with clients. By ten years, you’ll have seen most cycles and be able to adapt. As hard as they may seem, learning BIM, Revit and green building take far less time than mastering the full profession. Concentrate on one or all of these. Each is perhaps 2-6 months of study or experience. Practice every day. Perhaps some firms will open their training sessions to you. You might ask. Or get the AIA to form a program with the firms. They are also looking for ways to keep you in the profession. We want younger architects to remain committed to the field. We need another generation. So you have some leverage. Think how you can explain – very quickly and in a most compelling fashion – what you bring to a particular firm. Have excellent evidence of your skills. You will find work. That’s my best random thoughts for surviving a deep recession; it’s lengthy and yet not comprehensive. If you want explanation, please ask. Or if you think this list is a complete waste, say it and why. Someone may learn from your comments – like me. Do you have other ideas for job hunting? or useful stories? If you got a job, please share how you did it, what was the key? Photo: Flickr Creative Commons by Martin Pettitt “Wing Walking Display Lowestoft Air Show,” uploaded 28 July 2008. I have committed a cardinal error of blogging: no new posts for two months. OH NO! After building a fabulous community of readers, I allowed other tasks to interrupt my trail of commentaries, images, and ideas on 21st century cities. Now I am asking for redemption, a second chance to win your trust. Today is Groundhog Day, which also happens to be the title to one of the best movies on errors and redemption. In brief, an arrogant TV weatherman, played by Bill Murray, lives a self-centered existence. He trounces on the feelings of his co-workers and curses his annual mandatory trek to Punxsutawney, Pennsylvania. He scorns the people, the town, and even poor Phil, the prescient rodent. When a snowstorm traps him and his crew overnight, his nightmare implodes. In short, this TV weatherman is having the worst day of his life. To top it off, the day just keeps repeating itself, over and over, in an endless loop. Same music each morning, same people on the street, same child falling out of a tree. That is, until he gets it right. Through repetition, improving one act at a time, he finds joy in the day, beauty in the small town, and pleasure in his teammates, especially the TV producer played by Andi MacDowell. The blind man found sight, the error of his ways, corrected his actions and sought redemption. He discovered grace. By repeating the same day, only changing his behavior and attitude, he finally got it right. Fully redeemed, born anew, he could move on. Repetition is the beginning of habits and ritual. Ritual becomes myth, the framework of our beliefs. Now I don’t actually relate to a pompous weatherman. But like Murray’s character, I am asking for another chance to earn your trust. I am committing to regularly post ideas on this blog and ask: Will you join me? Because, according to Gandhi, ritual and habits build values and even our destiny. To start fresh, I am devoting this first post to forming new habits for a new plan, and to friends and colleagues who are up for a challenge. Recently I have pondered the power of ritual, the benefit of habits and knowable patterns. Like a rudder on a sailboat, ritual lets us explore new territories without getting lost. The steady control of known patterns below enables creative spontaneity above board. “Rituals have the function of celebrating the whole over the part,” says scholar Mary Douglas (Natural Symbols). An ordinary act that carries significance, such as spring planting, is given ceremonial significance by prayer, song, dance or some other type of noted celebration, even, as in “Groundhog Day,” logging a varmint’s shadow. Through re-enactment, the act becomes a sacred act. Our actions weave into a mythic narrative. What Are Ritual and Habits? No doubt, as a culture, we are addicted to novelty and innovation. Newness sells. Yet to be able to invent, we need to be grounded. We rely on ritual to know who we are and what matters. In my mind, novelty and ritual are two sides of the same coin; they complement and offset each other. Novelty expands into the unknown, it’s the power of more; and ritual operates as a familiar, stable pattern, the power of less. 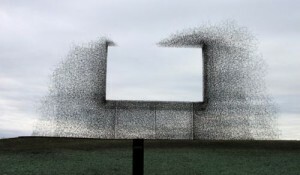 Novelty carries risk, an open system; ritual avoids unknowns, a closed system. Habits and rituals are frequently used interchangeably, yet they are different. Habits are routines of behavior, repeated so that we gain proficiency and can perform them subconsciously. Rituals add the layer of meaning to a set of actions, creating a performed rite. We build a narrative around the enacted ritual. For instance, breakfast can be a habit where we internalize the action, even dulling the senses. Or it can be a ritual of breaking fast, a daily awakening, a rite. Plus rituals re-enact mythic narratives and inculcate values. When we share these rituals with others, they become social myths and show us how to live. But don’t let me sell habits short. Good habits pave the road towards any goal. Strong habits become best practices. Daily progress depends on habits. Repetitive actions, whether habits or rituals, keep us on track, allow us to know what to expect. They organize our lives and enable automatic execution that frees us to meet larger goals, explore, and innovate. They are the rudder that enables creativity and the stabilizers that frame our identities. To renew my commitments, I need new habits, new patterns of activity that underpin my work, give me a daily plan, and clarify what I need to do first. In The Power of Less, Leo Babauta ( http://zenhabits.net ) offers a two-part philosophy towards accomplishing life’s most important aspirations. Here’s the nutshell version: Create a list of three goals that will take from one to six months. Large goals are given monthly sub-goals, then weekly and daily tasks, dubbed Most Important Tasks (MIT’s). Each day begins with three MIT’s of which some must relate to large goals. That gives a blueprint for what I should do first. Equally compelling are his ideas about HOW to get the work done: learn new habits and get into the flow of the work. YES! I agree wholeheartedly, my best work depends on these two gems. Excellent! Surely I can stick to one habit for thirty days. That’s doable, right? My selected habit: work in my new office for thirty days. I have a beautiful garden office but with minimal workspace and loaded with distractions and interruptions. Form over function. Last summer, I built another office upstairs with bookcases, file cabinets, work tables, and pin up space galore. Ready to go. True confession: I rarely use it. Consequently, I don’t get as much done as I could. I know it. Oddly, I love to go up there. But… I don’t. The familiarity of this garden space, its beauty and convenience capture me every day. Upstairs is more, well, closed. On purpose. It’s a workspace, for goodness sakes! Ok, that’s a huge goal and also Habit Number One. Further instructions are: write it down, post it publicly, report daily, and after thirty days: Celebrate! The reason the 30-Day Challenge works? Commitment, public accountability, encouragement, and inspiration through small successes and cheers. That’s it. Simple, yes? You might like to start a challenge with me? If you are ready for a new habit, post it, and we can watch out for each other via twitter and here. All I have left to do is go upstairs. Tomorrow, ok? Single tasking occupies major real estate in The Power of Less. Yet it makes sense. If you want to do something well, get into the flow, just do it, nothing else. Fact is: single tasking is nearly impossible. Temptation lurks. Commitments to write other articles and blogs, give presentations, workshops, attend events and meetings, do twitter, email, music, sketching, phone calls, ten websites open, thirty books on my desk and several projects are littered across the office. Not to mention, personal duties like getting meals, errands, home and personal maintenance, family and friends, volunteer activities, meditating, working out, running, gardening, golf, reading and so on. And that is now that I have a simplified life focused on research and writing. Distractions exist and I multi-task compulsively. And I WANT to do these things. That’s the rub. The big payoff for single tasking: flow. Flow is when you’re cruising through work, ideas abound and your mind, body, soul are in sync. To get in the flow, schedule big things first. Set aside the daily duties. Begin with a list of 3 MIT’s, make sure each task is doable today, and focus on one exclusively at a time. Declutter the rest, just put it all out of sight. It doesn’t mean you don’t do those other things; many are have-tos and want tos and actually support the big projects. The point is, you just do MIT’s first. Period. Flow means focusing, being immersed in a project, letting go of time, and forgetting the rest of the world, letting it slip away. Focus on just one thing, and do it fully. Sounds a bit like self-hypnosis. It may be. Or it may be just the opposite – heightened awareness. Tomorrow, block out time early. Do not allow distractions, appointments, twitter, nada to interrupt. Start with 3 MIT’s, and pick the most important one, that you’re passionate about. Not too challenging and not too easy; just right to capture your energy. A friend of mine, Linda Moore, says: put the big rocks in the bucket first, and then add the small ones later if you have time. It’s the only way big rocks fit. That’s my plan. My first claim, to write a book, represents my greatest dream at this time. And of course, I want it to be excellent, worthy of the hours that people, perhaps you, will spend reading it. It needs to be valuable, a substantial effort that significantly contributes to the knowledge we have about cities. Will I be able to complete a final product in six months? Probably not. I believe that I can write a proposal, an outline, and a full first draft. Those will be my sub-goals. Furthermore, that the book gains valid support from a publisher and/or readers. My second claim concerns this blog. While I have written a number of entries, with many looks, for which I am immeasurably pleased, thanks to you, let’s make this community expand and communicate more. Create a place where you connect with others, seek their opinions and mine, and we talk about the future of cities, architecture, the planet, your life, your dreams and fears of the future. My third claim involves discipline and habits. My goal is to balance planning/organization, community/communications, and creative production in my daily habits. In fact, my life depends on creating better balance between creativity, communications, and organization. I love to search, find new ideas, twist them to my own devices, and share them. Now I need to focus on the editing and development, while still maintaining the adventure and building community. The first step will be working in the upstairs office. The possibility of failure looms. And of reward, the potential of making a contribution, and changing how we think about cities and the future. Because I really don’t want to write just any book or any blog but one that makes you clap and bothers your sleep and keeps you glued to the writing. What Are Your Most Important Tasks? Share your big goals, your MIT’s and I will watch them with you, encourage your progress, ask how you’re doing. Pick your own start date, and then tweet your progress or post it here. Will you join me? Your comments will complete the circle of innovation. Tell me the ideas that resonate or infuriate you. Your thoughts matter. That is the greatest lesson. And the finest gift – your attention and your ideas. With these images in mind, I am beginning a 30-day challenge. Each day, I create a list of tasks that will accomplish these goals, and work on MIT’s first. At the end of 30 days, I should have Number 3 completed (or failed miserably), and the other two underway. 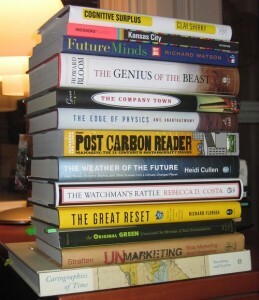 The past two days, I covered a list of 20 items from The Futurist magazine’s “Outlook 2010” (Nov-Dec 09 issuehttp://bit.ly/xFR5C) that will shape 21st c cities.http://bit.ly/w1po5 Now I am adding other trends, ideas, and forecasts beyond their list. First, a bit of context. In other words, during the past 10,000 years of civilization, we grew to the point that 3 billion people live in cities. Now we will add that many again by 2058. Think about it: Are our cities prepared to deal with doubling size in the next forty years? Urban change will not be entirely incremental, just more and more of the same; cities will fundamentally transform, in many parts beyond recognition. The reason I say this with such sureness is by looking backward. To see what lies ahead, futurists become great students of history. We look backward in order to see forward. If you look at 1950, cities are nearly unrecognizable. And 1900, even moreso. When forecasting, I think about time in blocks or at particular milestones. By 1950, New York emerged as the first megacity and power and plumbing were solved in developed countries. However, cities beyond the industrialized west began to fall behind in their technology. The societies remained primarily agricultural. You might say that’s the period when the urban divide emerged. Before industrialization, all cities were primitive – that is, they employed basic construction technology - and societies were primarily rural. Now cities diverged into two distinct paths. Power, transportation, and increasingly complex infrastructure arrived in some cities, and lagged in others. For those cities who industrialized, life changed immeasurably during the first half of the 20th century; it was a transformational change, not just more of the same. By 2000, Tokyo was the world’s largest and a sea change hit the rest of the top ten list. Only London and New York remained from prior lists. The other largest cities are entirely in developing countries. By 2015, London falls out of the top ten. Furthermore, Tokyo and New York hold their spots by retaining, not adding, people. They are barely growing. Growth in Asian cities is exploding. Mumbai, Delhi, Shanghai, Calcutta, and Jakarta lead the world through a combination of rural-urban migration and population increases (not true for China of course that has low fertility rate).http://bit.ly/1Fabe9 Each country has its own problems. While China has organized massive long-term development plans, they build sub-standard buildingshttp://bit.ly/3cBtnB and their cities’ air is the most polluted in the world.http://bit.ly/15i1cj. India struggles with squatters villages, infrastructure, transportation, education, and jobs. Cities in developing countries grow at a rapid clip of 3 percent annually – yes, those cities will gain the lion’s share of the next 3 billion people – while developed countries that have long been urbanized are maintaining existing population. Therefore, developing countries’ concerns are with massive amounts of new infrastructure, institutions and services while developed countries are repairing, renovating, and re-inventing. The Great Urban Divide looks to continue until the world population balances in mid- 21st century. Defined as cities with populations over 10 million people, 20-25 mega-cities will exist by 2015 (depending on how you define the circumference).http://bit.ly/16E5JR While 6.9% lived in mega-cities in 1990, over 12% will be in the 23 largest cities by 2015. That represents an increase urban population from 98 million to 378 million people. Imagine, in this 25-year period, 23 cities are adding 12 million new people each! Just the housing and infrastructure required is mind- boggling, much less jobs, education, health care, banks, shops, and so on. Look at your city and think about that magnitude of change. Moreover, almost all of that growth is occurring not in Toyko, New York, or London, but in India, China, and Indonesia. Even mega-cities are experiencing an urban divide. There are two forms: those more or less built by now, and those that are still building. They have one thing in common: all are scrambling for resources. While developing countries are squeezing enormous numbers of people into incredibly dense megacities, developed countries are sprawling and eventually converging in what Sir Peter Hall dubbed the polyopolis, or poly-centric regions.http://bit.ly/3M3Pvk The distinction between mega-cities and poly-centric cities is due to transportation and historic growth. Polycentric regions emerge with multiple cities and urban cores, linked by networks in economically beneficial collaborations. Hall identified eight European areas as mega-city regions and three or four in North America. Polycentric regions tend to be areas of highly developed technology and with historic social and political patterns. The problems are split governance and enabling a division of resources. In effect, with regional relationships paramount yet without centralized government, a new field of urban diplomacy and legal negotiations is emerging. While it may seem like this tale of divided problems means we don’t need to worry about urban troubles half way around the globe, that is folly. Two things are shared and deeply linked: the environment and the world economy. Collaboration, risk, opportunity all converge. No one has yet to build the perfect city. We can learn from each other. Next I focus on some technological ventures: floating cities, robotics, and geo-engineering. Lifting ideas from The Futurists’ prognostications and modifying them for 21st century communities, here are ten forecasts that will shape cities. I added comments in italics. 1. Transit Oriented Cities. While 7 out of 8 Americans own cars today, only two-thirds will own cars in coming decades. We already see car sharing http://bit.ly/2gUsnk, more bikes and a strong push for public transit. The biggest change over time will be in denser, mixed used communities, based on infill and adaptive reuse to retrofit areas and for new developments. 2. Active Older Population. The oldest segment, Centenarians, is also the fastest growing and will double. Furthermore, this group along with people over 70 is healthier, more active and has more resources. They will demand buildings and public spaces that accommodate older bodies and activities and experiences that cater to their needs. 3. Virtual Reality as Testing Platform. While The Futurist listed VR as an area to expand research on ethics and moral dilemmas, I think that that we will also see the AEC professions, government agencies and private developers test development ideas via virtual environments. Primitive technology at this time, it may soon be a mandatory means of sharing development plans. Design professionals always wanted more public participation – be careful what you wish for! It could be a tidal wave. 5. 3D Prototype Printing. These printers which are now used for fabricating manufactured parts and making architectural models will enable people to print objects ranging from building parts to containers to furniture.http://bit.ly/8p5zs Distribution, shopping patterns and object design will change as a result. 7. Terrorism Thwarted. Jihadist rehabilitations programs sponsored by Saudi Arabia, Singapore, and others may shrink global terrorism. To me, that sounds as amazing as a cure for cancer! However, perceived problems can still change behavior and people may seek protection with gated communities, secure buildings, and fortified corporate and government facilities. 8. China Largest Economy by 2025. China will shift to consumer driven while the US slips from the top 20 countries in GDP per capita. In addition to being a location for possible development projects, China will exert cultural influence in design, innovation, and education that will influence cities and architecture globally. 9. Post-Peak Oil Era. While developed countries will shift to alternative energy sources, nations such as Saudi Arabia will be faced with high unemployment, increased poverty, and slums. These countries may become more open or more insular. 10. Information Warfare. Security of infrastructure from energy to transportation will become increasingly troublesome. We may find centralized solutions and ubiquitous rfid “smart” technologies can create too many weaknesses. In fact, data security could cause more “off-grid” behavior unless absolutely necessary, which would change internet dependent entertainment, communications, education, and work habits. A walk in the park may find a new generation of enthusiasts. However, the list is far from complete in defining tomorrow’s cities – not that The Futurist made any bones about it being a comprehensive survey, and they did not focus on cities in particular. In fact, the lack of attention to the built environment struck me as a complete oversight, and inspired me to write these two articles. Cities are ascending, we are an urbanized planet for the first time in history. Surely that deserves our attention in 2010. What’s missing? Off the top of my head: megacities, slums, robotics, geo-engineering, smart infrastructure, diffused energy sources, tribal communities, prefabrication, nanotech, and urban farming, just to name a few. Many other critical trends will shape 21st century cities, which warrants another post – big ideas looming outside the scope of Outlook 2010. In the meantime, what do you think of the 20 trends from The Futurist? Are any more critical, exciting, or terrifying? And what do you think might be missing? The Futurist magazinehttp://www.wfs.org/futurist.htm published their “Outlook 2010” this month with forecasts in ten domains. Somehow none of the areas focus exclusively on cities or architecture, despite the fact that the world for the first time in history is now more urban than rural. In fact, I would call this the urban century. One of the most critical issues we are facing is how to live in and create great cities. No doubt, historically there are times when cities were truly spectacular – Athens, Rome, Rome again, Florence to name a few. They pulsed with culture, commerce, and a sense of community. Then technology aided industrialization and automobiles, and now globalization and social networking. Cities are simply more complicated now. Actually that’s true about life all the way around. Yet, even now, sometimes we build something brilliant. New York City’s Central Park, the Eiffel Tower in Paris, Sydney Opera House, Beijing Olympics. At a particular moment, communities create genius in built form. Even with all the forces that tear us in multiple directions, it’s possible. 1. Colorful Solar Energy: MIT devised thin solar film that amounts to paint so translucent it can do double-duty as tinted windows. 2. Flooded Coastal Cities: If we see 14 degrees centigrade warming, the oceans would rise 75 meters, which puts every coastal city at risk. Actually, I would modify this to far lower figures, say 2-6 meters, based on research, but still with devastating possibilities.http://bit.ly/2ZeePC Heavier storm patterns will also increase damage, including risks to river cities. 4. China’s Ascent. China, maybe Russia, will join the US as leading world powers by 2025. As the EU gains a unified voice, it will become a member of this group. 5. Healthy Cities. Cliff Moughtin, Urban Design, cites urban gardens and walkability as improvements to quality of life. Example: Freiburg, Germany.http://bit.ly/3TaRFE I would add the slow cityhttp://bit.ly/4hshXh and new urbanist movements. 6. Car-Free Cities. Electronic sensors in Singapore charge cars as they enter the city. Paris aims to cut auto traffic by 40% by 2020, replaced with bikes. 7. Suburban Woes. As energy costs soar, districts with spread-out services will spend more in transportation. That is, unless they build public transit and infill to create density, and address problems of aging infrastructure and next-generation residents as urban cores have learned. 8. Sensors and Nano-technology. Health monitoring and even minor diagnosis and procedures will be done virtually, placing an additional duty on houses, especially bathrooms and kitchens. Furthermore, hospitals will be modified accordingly, shrinking examination rooms and beds while adding clinics. 10. Telecommuting. US jobs filled by telecommuters could increase four-fold to 19 million by 2012. That many folks may have partial telecommuting in two years. Reduced road infrastructure could save $5 billion and we’d recapture 1.5 billion commute hours. Changes to cities without rush-hour commuting would be enormous. Residences become base-camps for work and living, and neighborhoods – urban or suburban – become 24/7 communities. That’s ten changes that apply to cities from the first five areas that The Futurist covered. They had many other points under these headings; I selected based on relevancy to cities. And looking at the list – where are robotics, geo-engineering, smart infrastructure, diffused energy, public space, public art, sacred places, tribal communities, local/global connections, prefabrication, mega-cities, slums, security issues, and urban farming to name a few? Really, how could 21st century communities not be at the top of their list? ?